The human body was not designed to sit for long periods of time let alone 8+ hours a day, 5 days a week. The nature of many corporate roles unfortunately do require this sedentary position for such long periods of time. I meet many people who resign themselves to accepting these painful aspects of their life because other people experience them too, I hear comments such as “Oh well it goes with the job”. Life can be better! you don’t have to accept the pain, if you work in a sedentary role you can make alterations to minimise the impact of the sitting for long hours day after day. Understanding corporate lifestyle is go go go, I’m going to share with you some simple little adjustments that barely take any time, but can make a massive impact on your quality of life, reducing pain and improving posture just to name a few. We are going to start with a wonderful easy stretch that you can do while sitting at your desk. Stretching – Do you know what stretches to do? and do you know how to do them safely? For more stretches and advice on this area please click here. 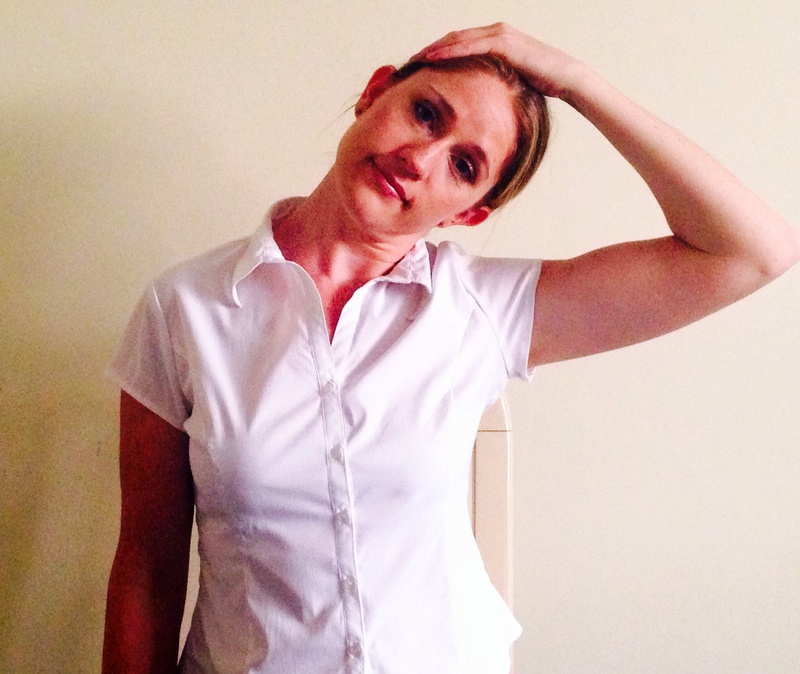 Upper Trapezius – This is one of the best stretches to do when working at a desk, especially as you feel stress building up and that burning pain across the back of your neck and shoulders. Sit on one hand, anchoring that shoulder down. 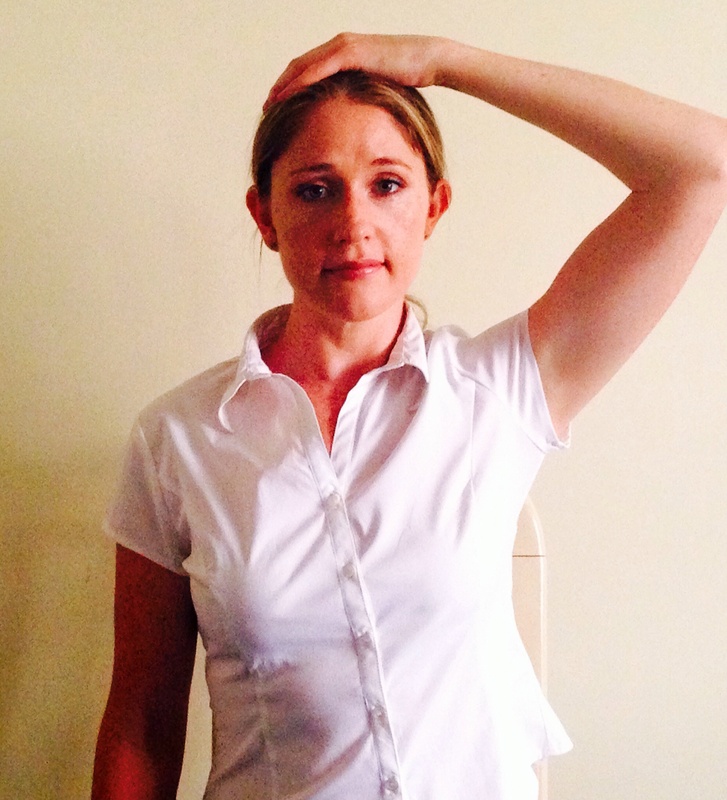 Place the other hand on top of your head, take a deep breath, then pull the head slowly and gently away form the anchored side until a stretch is felt, or you can not go any further. Repeat the stretch on the second side. You can do this stretch as often as required. Hold the position for a minimum of 10 seconds. *Don’t forget to anchor the shoulder down before stretching this is important to prevent over stretching and breathe. 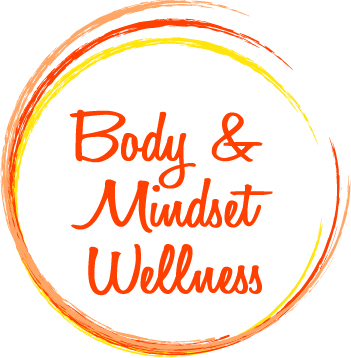 I have been working with people in the health industry, specifically: massage personal training, life coaching and teaching, for over 8 years. I have learnt to be realistic and not to bombard you with what’s good for you, this means I’m going to show you one change at a time. → What is Corporate Massage?